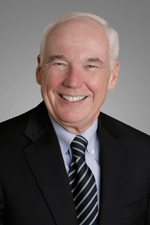 Samuel Sorich has been a respected representative of the California insurance industry for more than 25 years. He focuses his work on expanding the firm's presence and relationships in the capital, particularly with the Department of Insurance and other state agencies. legislation that provides consumers with effective disclosures regarding insurance coverages. the ongoing regulatory and judicial implementation of Proposition 103. While leading the ACIC, Mr. Sorich continued to direct PCI's efforts in Arizona, Oregon, Nevada, Hawaii and other western states. For nearly a decade, Sorich represented the insurers before the National Association of Insurance Commissioners and took the advocacy lead on several important issues including market conduct exams, producer licensing, and insurers' use of credit information for underwriting and rating. Prior to his legal career in insurance, Mr. Sorich served as a Peace Corps volunteer and as an assistant attorney general in the office of the Illinois Attorney General.